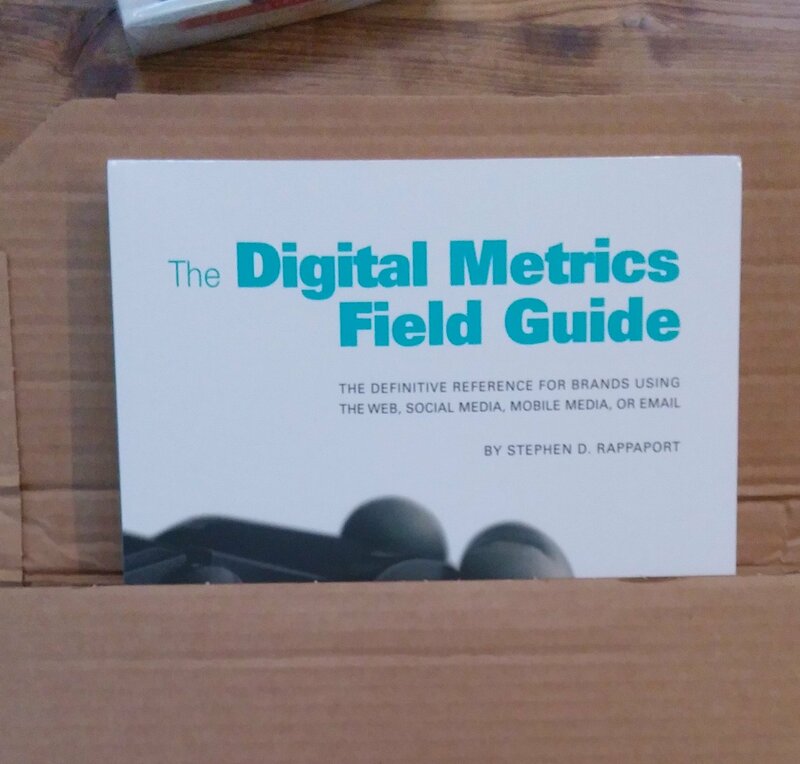 The Digital Metrics Field Guide arrived from the printer this past Saturday. It traveled all the way from the Netherlands. I finally unboxed it today, having opted to let it sit and tempt me to open it. I don’t know why, but that’s what I did. Normally I tear the package open when a new book arrives. The picture at left shows The Digital Metrics Field Guide emerging from its shipping carton. There’s always a moment of truth when getting the first copy, anxiously holding it in my hands, feeling its heft, taking pleasure that the book is real, and then feeling the nervous anticipation that comes from knowing the book is poised to make its way in the world. Every book makes its own way. Like a child you create it and nurture it and then let it go. While we have some idea of how it will mature once set free, the book’s journey — and yours — depends on what readers make of it. Putting out a new book is exciting, a little anxiety-producing, and possibly life-changing in some small or grand way. That’s the fun — where will it take you? Boxes of The Digital Metrics Field Guide are steaming across the Atlantic Ocean to warehouses in America and should be available soon. Meanwhile you can pre-order from Amazon, Barnes&Noble, and independent booksellers in the US and around the world. You can order it from your local bookshop, too. My greatest satisfaction comes when readers say that they found my book illuminating, educational, helpful, thought-provoking, or worth giving to others. 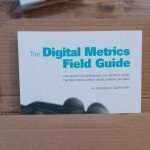 If you pick up a copy of The Digital Metrics Field Guide, I hope it is that way for you.